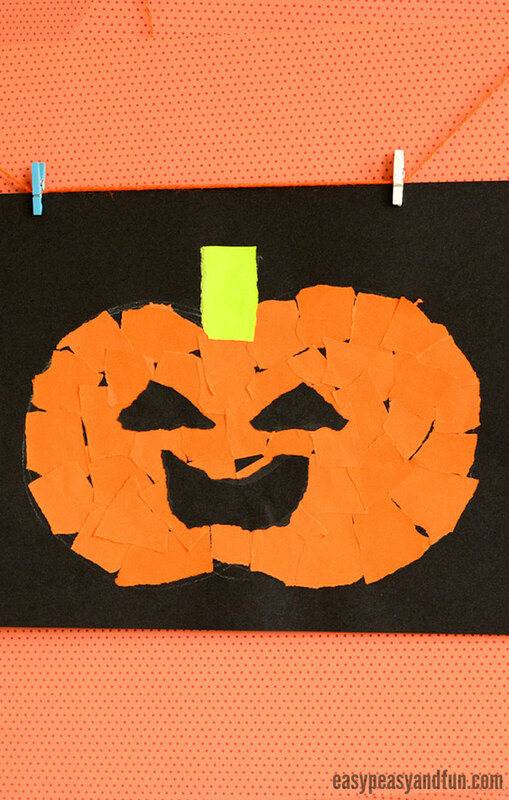 Who is ready to make some Halloween torn paper art? 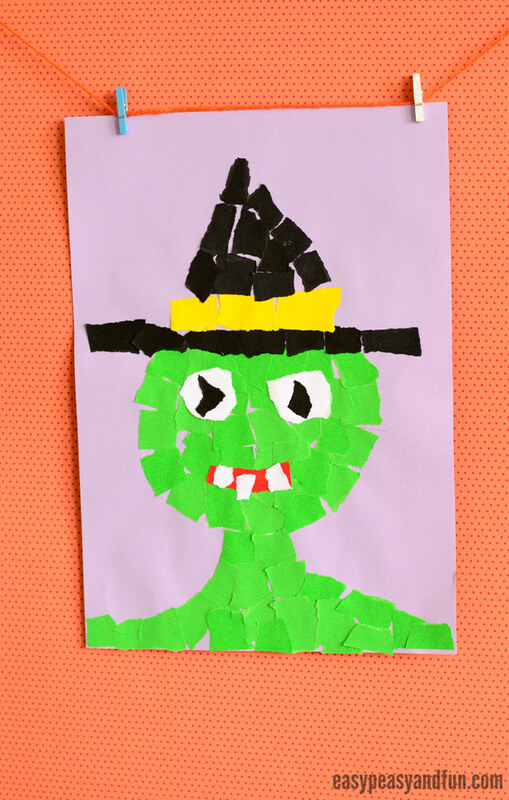 We have some wonderful collage art ideas to share with you to get you inspired for a fun filled Halloween creative crafting session. 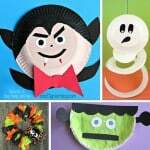 Let’s rip some paper and get crafty! This is such a low prep activity that can be done at any time. 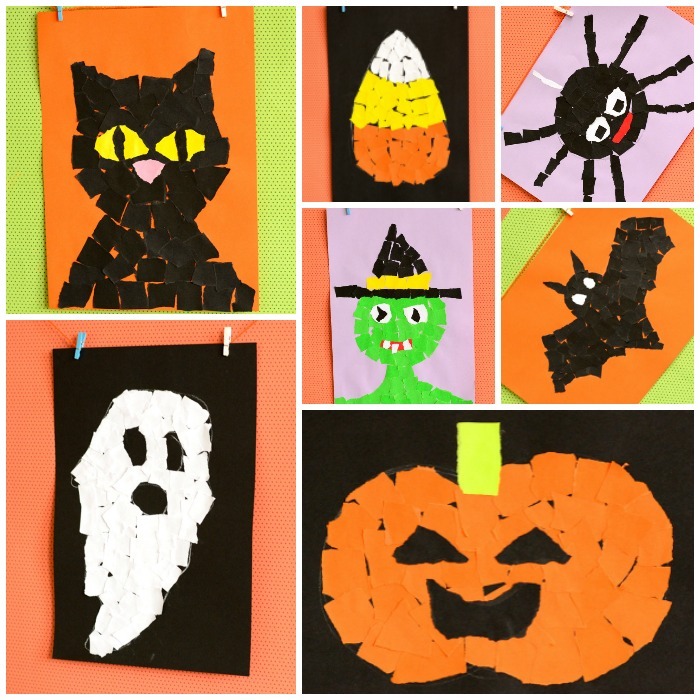 Paper mosaics trully are a wonderful art project for kids, as they will each be able to create their own unique piece and with a holiday such as Halloween there are many wonderful spooky and cute objects they can make. 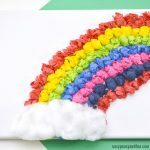 All that you need in order to make torn paper art is a few sheets of paper in different colors (the more colors available the more creative they will be), glue and possibly a pencil or a chalk to make an outline for your final creation. Black paper is best for the base, although other colors will work well too. You need a sheet of white paper for the ghost too. Additional black sheet can be used as you can either leave the eyes “blank” or make them with ripped black paper. 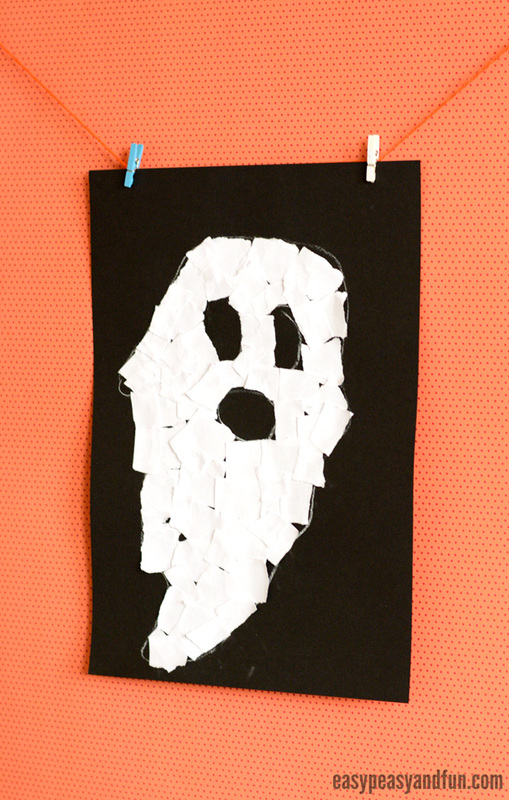 If working on black paper and you want to draw the ghost first, we recommend using a white chalk. 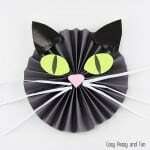 Tear white paper into small bits of different sizes and glue it onto the black paper. 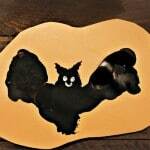 For a bat we choose a sheet of orange paper for the base, a sheet of black paper for the bad and some white paper for the eyes. We drew the bat with white chalk. First we drew an oval for the body and a circle on top of the oval for the head. Two pointy triangles were drawn for the ears. Last we drew wings on both sides. 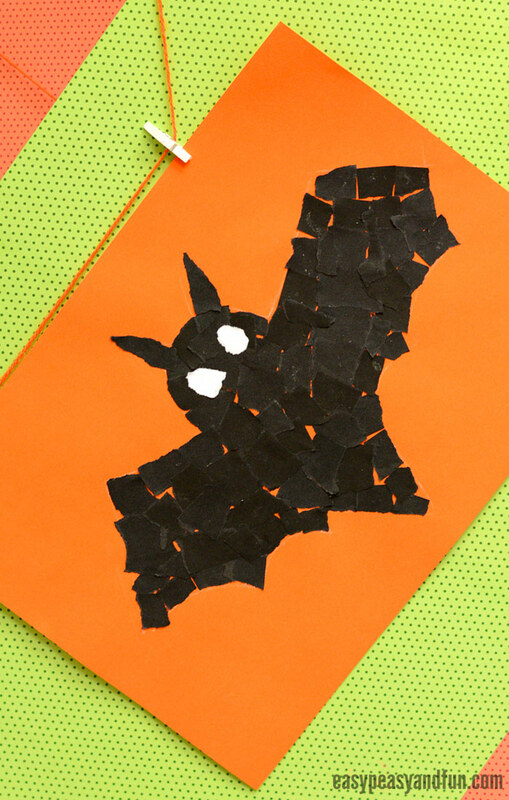 Tear the black paper into small bits and fill the bat shape. Rip two small pieces of white paper and glue them in the place for the eyes. We made this one on light pink base. 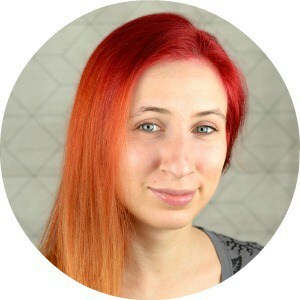 You will need black paper and some white paper and just a bit of red paper. 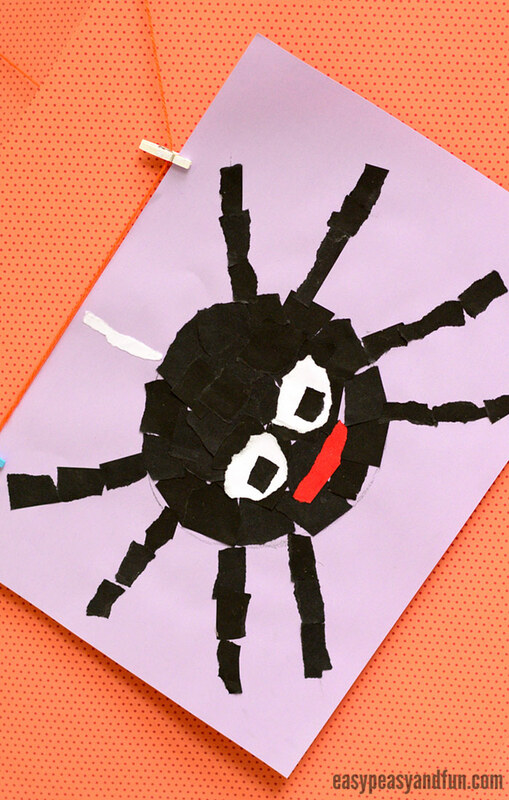 We drew the spider with a black chalk. First we drew a circle. We then drew 8 lines – 4 lines on each side of the circle. We filled everything with pieces of black paper. Add some finishing touches – eyes, mouth and a little bit of spider’s web. We made this one on the black paper. 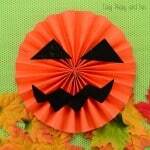 You will need a sheet of orange paper, some black paper and a bit of green paper. 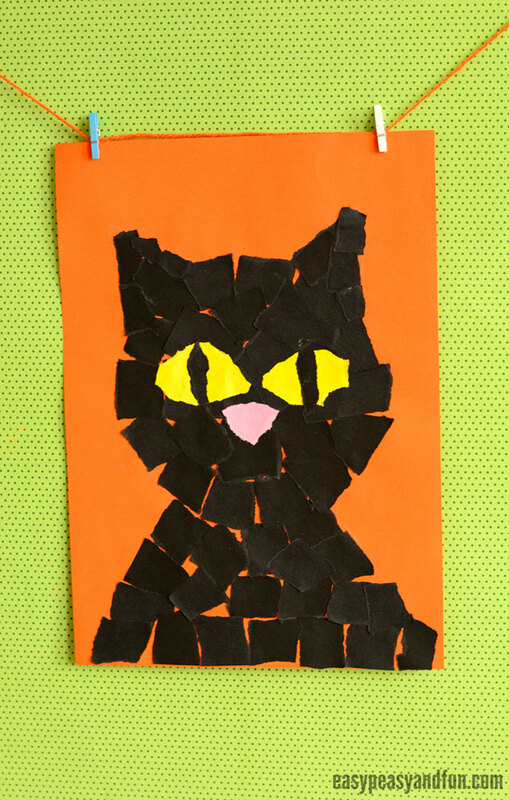 We can’t make Halloween art or crafts without a cat. We made it on the orange base. You will need a sheet of black paper, a bit of yellow paper and a bit of pink. We drew the cat outline with a chalk. First we drew a triangle from the middle of the sheet of paper (roughly) to the bottom. We drew a circle with it’s center at the top of the triangle we previously drew, and two triangles on top for ears..
We though it would be fun to include a witch too! This one was a “freehand” spur of the moment creation. 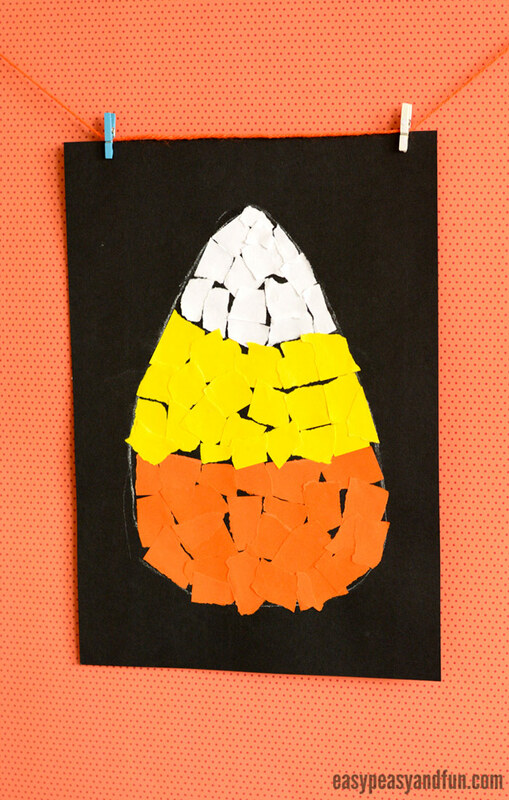 We drew the outline with white chalk and filled it with white, yellow and orange torn paper.